Since 1985, Wilder and his cohorts have been cranking out their own brand of rootsy Rock and Roll throughout the USA and the world. The band’s energy and intensity is well exemplified by the heretofore unreleased, vintage tracks contained on Powerful Stuff! A potent mixture of roots rock, Americana, blues, and British influences, the album primarily features the “original” Beatnecks: Wilder on lead vocals and guitar; Donny “The Twangler” Roberts, guitar and vocals; Denny “Cletus” Blakely, bass and vocals; and Jimmy Lester, drums. 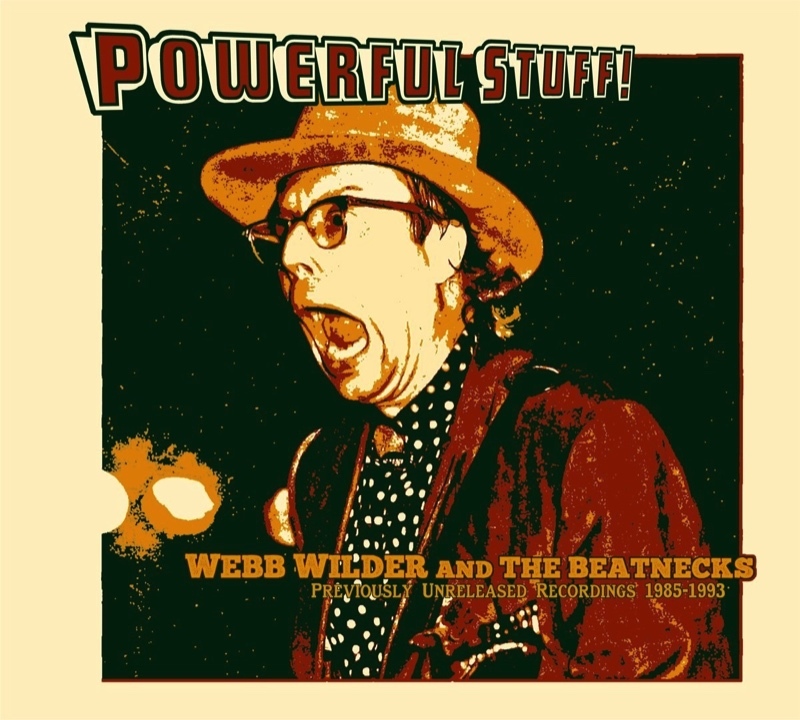 Webb Wilder and the Beatnecks will perform at the official CD release party for Powerful Stuff! on Sunday, April 29, starting at 7 PM at Nashville’s Exit/In, a venue where several of the tracks on the new CD were originally recorded live in 1986. The current band lineup includes Webb Wilder – guitar, vocals; Rick Schell – drums; Tom Comet – bass; and Bob Williams – guitar. A native of Hattiesburg, Mississippi, and a member of the Mississippi Music Hall of Fame, Wilder and his friend since junior high, Bobby Field (producer for several earlier records), crafted their signature brand of “Mid-Atlantic” (British and American) rock and roll into their often double-time tunes which separated Wilder’s music from the pack and boasted classic influences from both sides of the pond. The band’s 1986 debut album, It Came from Nashville, a brazenly rocking bar-band rave-up that’s also available from Landslide Records, was recently named one of the top 50 all-time best Southern Rock albums by Paste Magazine.